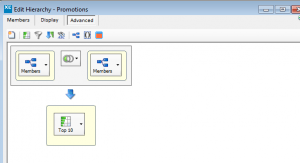 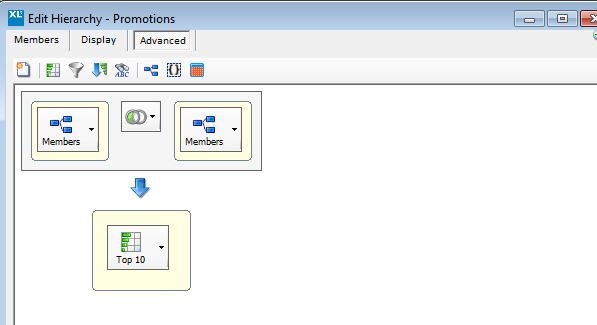 So today we are going to show you how you can easily exclude members from your XLCubed reports. 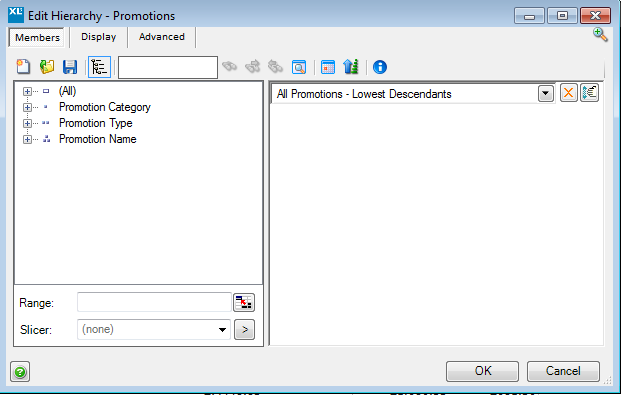 Here we have a simple grid which shows lowest level descendants of Promotions on rows and Geography on columns. 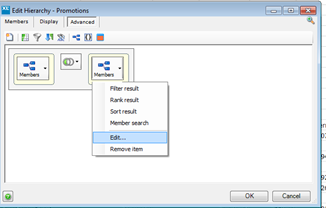 We would like to rank this report and also exclude the Promotion No Discount which is not really adding any value to the report. 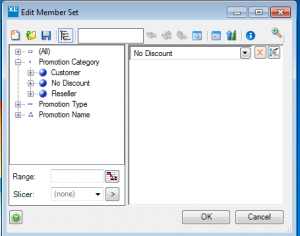 So let’s edit the Promotions hierarchy and set up the exclusion of the No Discount Promotion. 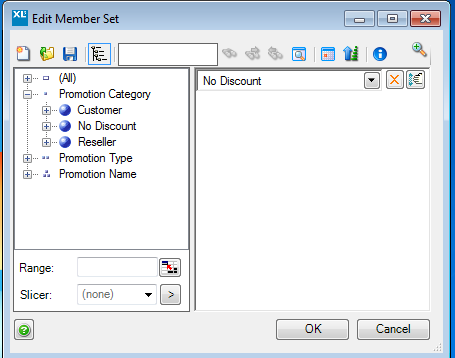 We are going to exclude No Discount so select it and drag it across. 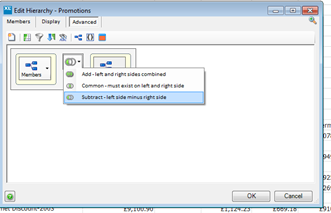 The Promotions hierarchy has now been edited to exclude No Discount and then ranked. As you can see the report now excludes No Discount row and has been ranked to show the top 10 Promotions across All Geographies.